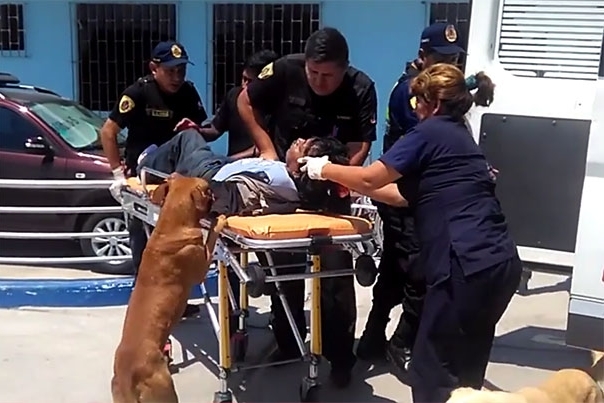 When this man injured his head on a street in Chimbote, Peru, his two dogs jumped in an ambulance with him so they could be with their owner. 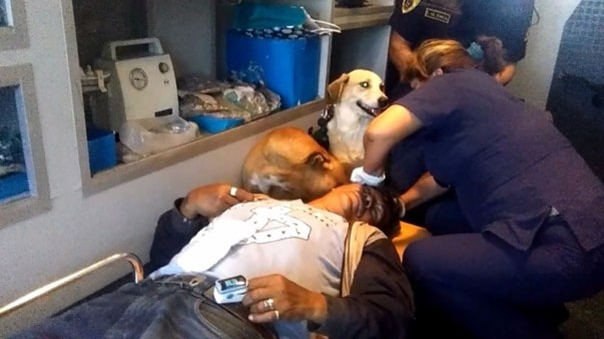 Even when emergency doctors started doing their job on the wounded patient, the loyal canines refused to be parted and stayed by their human’s side. The best bit is that everyone was so touched by the level of devotion the doggies showed towards their owner, the pets were allowed to stay at the hospital. 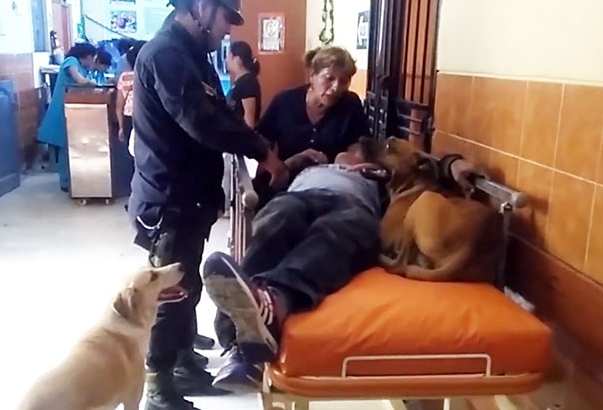 Later that day Joha Morillas Zapata, an intern who works at that same hospital, posted a picture of the man with a head injury sitting in a wheelchair with – you guessed it – his four-legged friends by his side. Some researchers argue dog loyalty stems from their pack behavior. Because dogs want to bond with a group, they instinctually show loyalty to those who are or who could be part of their pack. Allegiance among members of the pack would be crucial to its success. Therefore, early dogs who wanted to form a pack with early humans would have expressed loyalty to those humans to make the pack work effectively for both species. Throughout their shared past, dogs have developed better ways of communicating with humans. Research argues that dogs are more human-like in their behaviors than any other animal, including primates. For example, a study found that dogs can express empathy to humans. In the study, the dog’s companion or a stranger was crying in the same room with the dog. The dog attempted to comfort her companion but also the stranger. 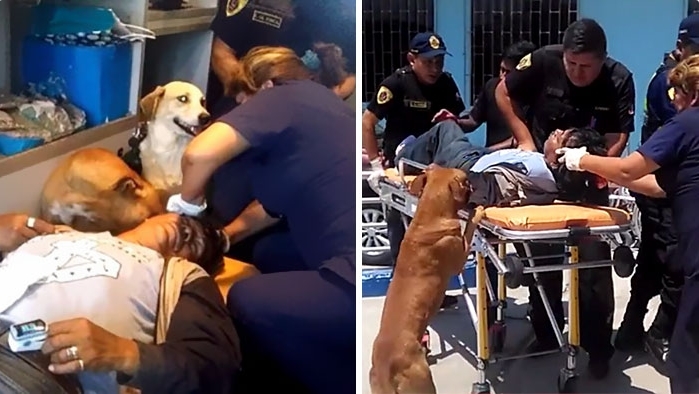 Responses to "Dogs Jump Into Ambulance And Refuse To Leave In Order To Comfort Their Owner"